As a Foster Grandparent, you’re a role model, a mentor, and a friend. Foster grandparents serve through numerous local organizations, including faith-based groups, Head Starts, schools and other youth facilities. Volunteers help children learn to read, provide one-on-one tutoring, and guide children at a critical time in their lives. Put simply, as a foster grandparent, you will provide comfort and love and help your foster grandchild achieve a brighter future. 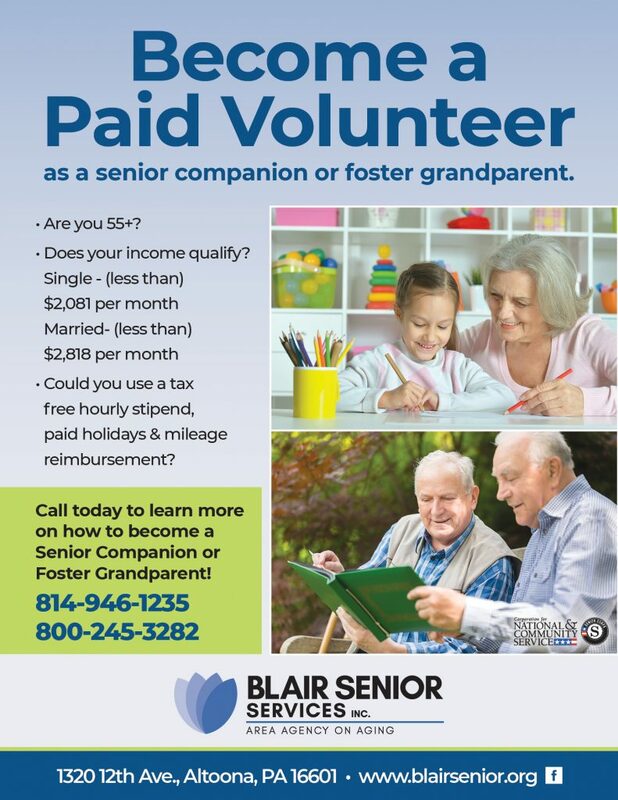 Foster Grandparent Program at Blair Senior Services, Inc.